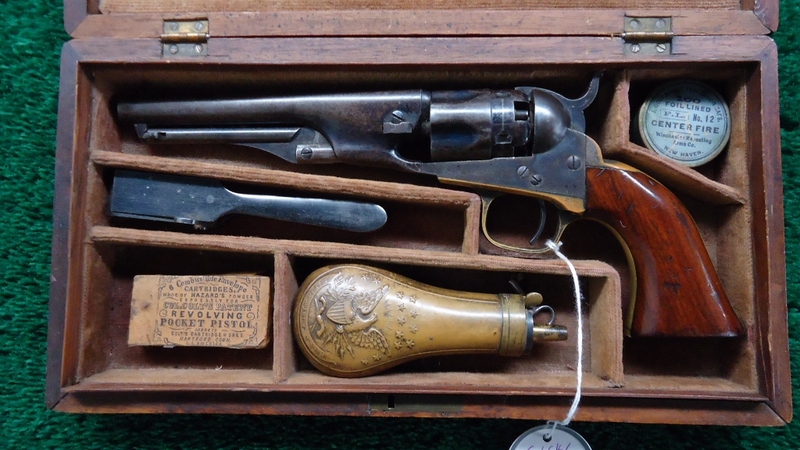 Cal 45 Long Colt. These revolvers are pictured on pages 478-481 of “The Art of the Gun: Magnificent Colts, Selections from the Robert M. Lee Collection Vol. II” by Lee and Wilson. Consecutive serial numbered and scroll engraved on most all metal surfaces. Cylinders are gold plated. Back-strap has “George Allen” engraved in script. Pearl grips. Completing the package is a Rhinestone encrusted rig made by “Nudies Rodeo Tailors” who have outfitted some of the best including Elvis Presley, Elton John, Gene Autry, Michael Jackson, Liberace, Glen Campbell, Ronald Reagan and Roy Rogers. Also included are 45 nickel plated cartridges. 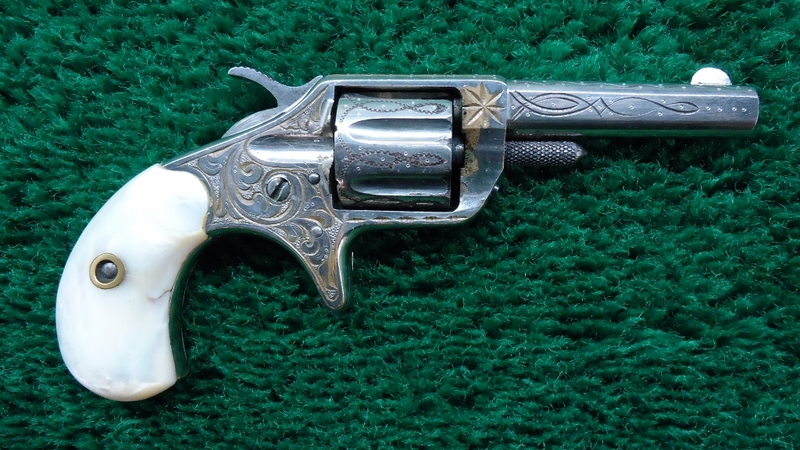 This is a very fine pair of custom revolvers that retain most of the gold and silver plating with just minor handling mars. Mechanics are crisp. Belt and holster are in excellent condition with just a few absent rhinestones. A stunning package to wear or collect!